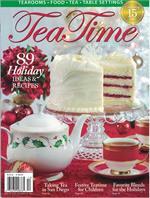 The annual holiday issue is now available! 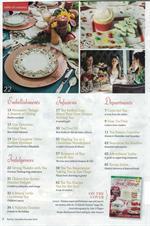 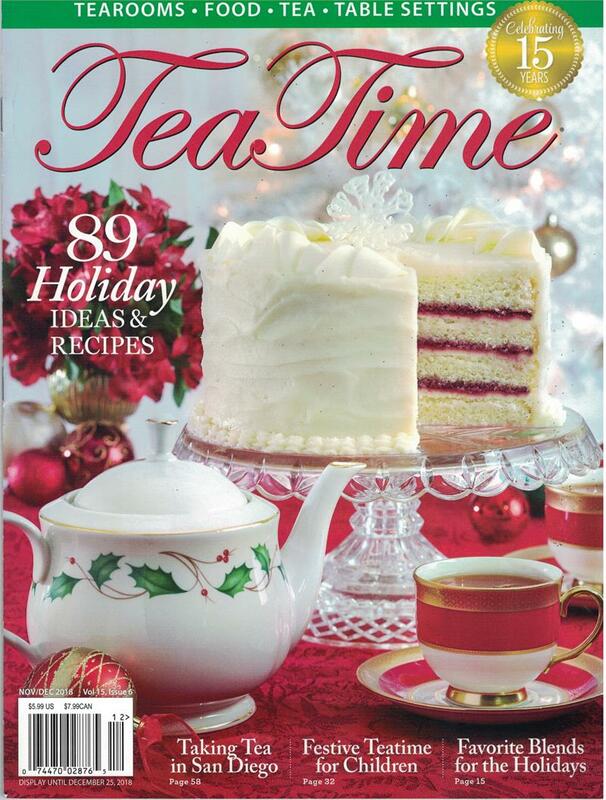 This colorful edition is filled with 89 ideas and recipes you need to make your holiday tea celebrations jolly and bright! 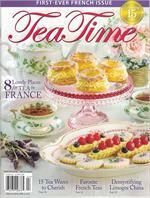 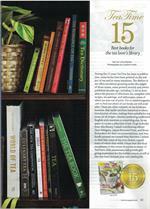 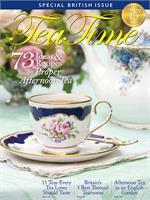 The holiday issue features 15 BEST BOOKS FOR TEA LOVER'S LIBRARIES. 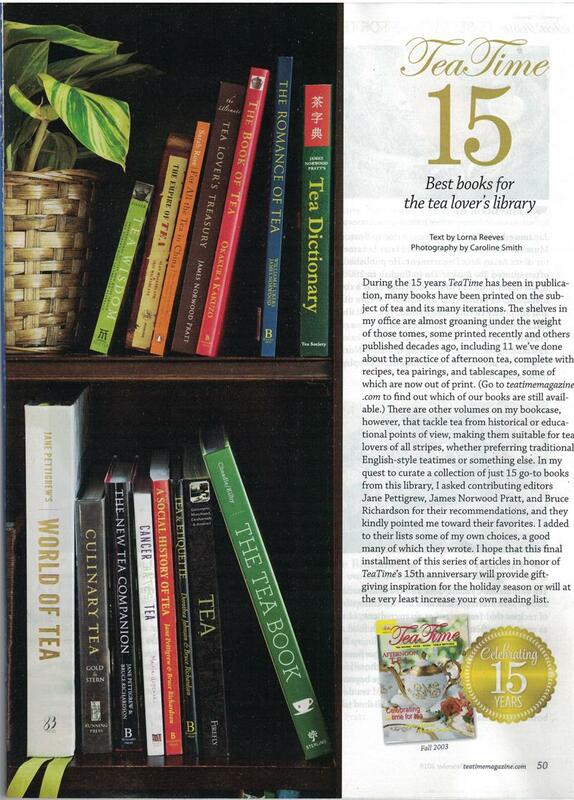 Five of those books are published by Benjamin Press, a division of Elmwood Inn Fine Teas. 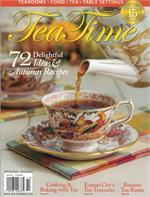 Read Bruce Richardson's article on creating a holiday blend and see a review of London's famed Fortnum and Mason store, founded in 1707. 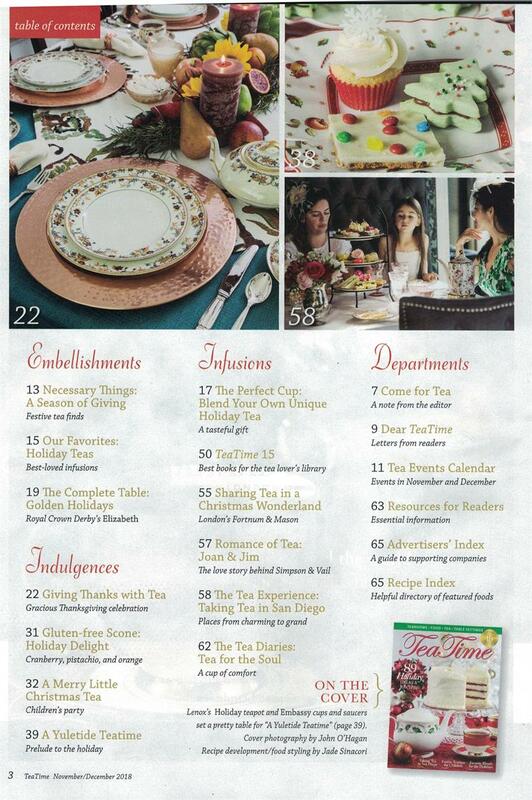 You'll love the photo-filled article on tea spots in San Diego.